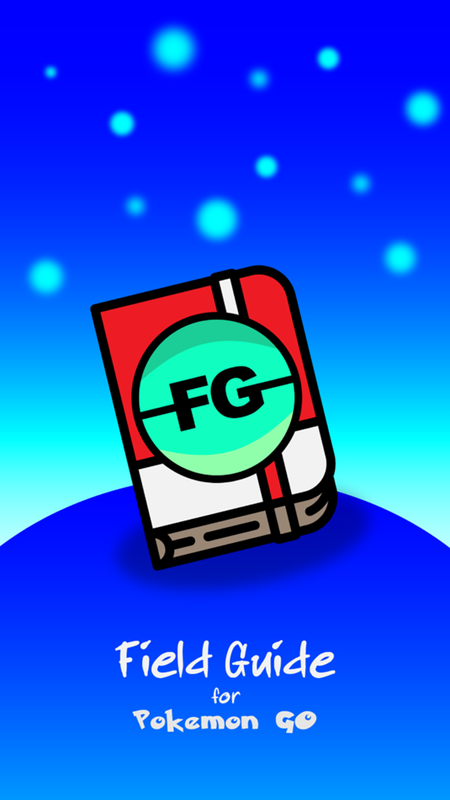 The Field Guide for Pokémon GO is a strategy guide for Pokémon GO. 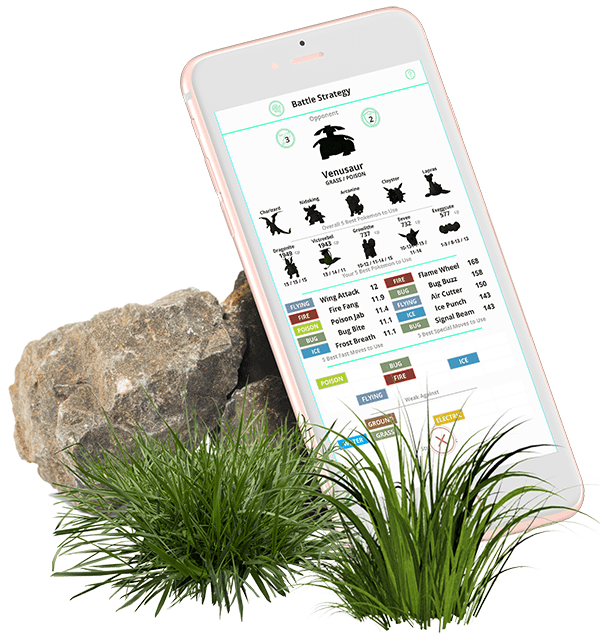 You’ll find a complete Pokédex, a Movedex, a battle strategy helper, a quick-look type strength and weakness calculator, and an IV calculator with the ability to save Pokémon to your own personal Pokédex. 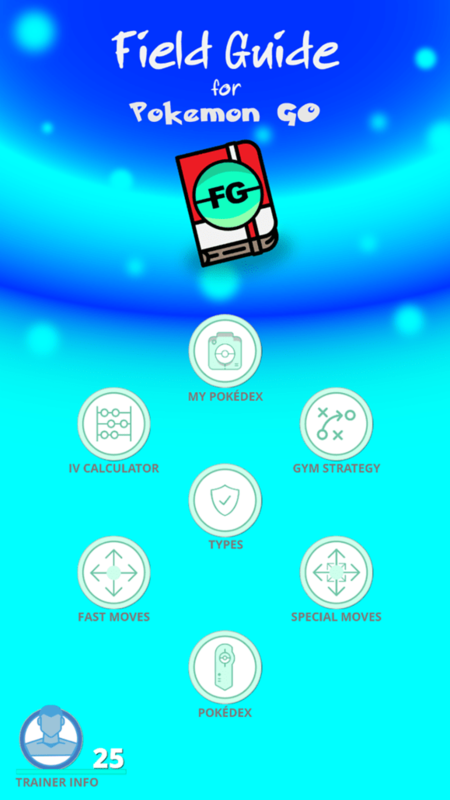 The Pokédex contains detailed stats and calculations for each Pokémon. 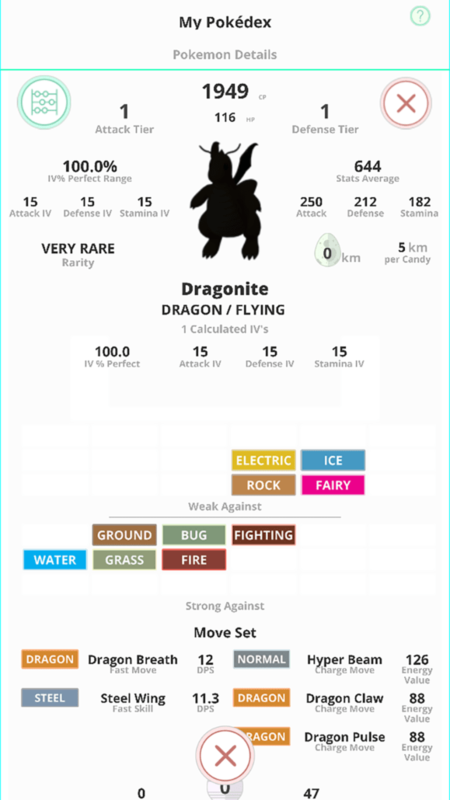 The Pokédex is highly sortable so you can quickly find and compare numbers. 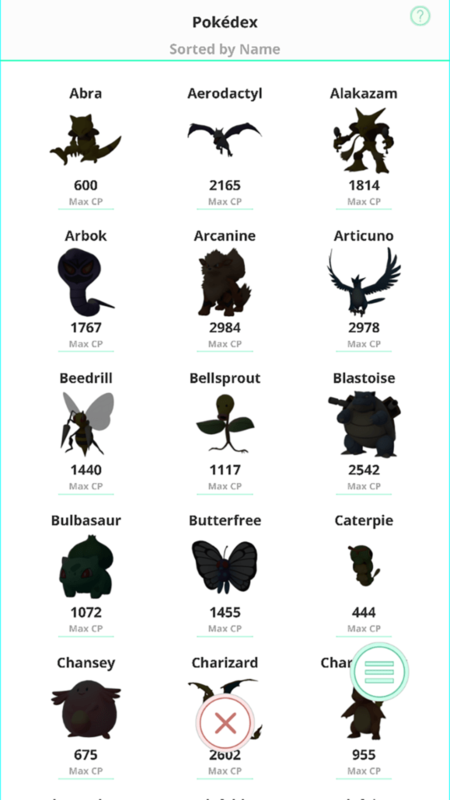 Sorting includes flee / capture rates, best hunting times, attack / defense / stamina, overall stats, max cp, debatable attack and defense tiers. 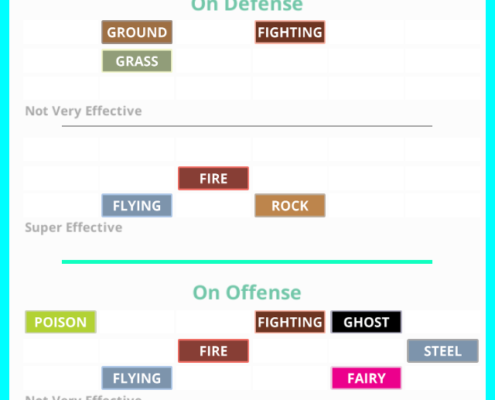 The Battle and Gym Strategy section analyzes the defending Pokémon and returns the best Pokémon to use. 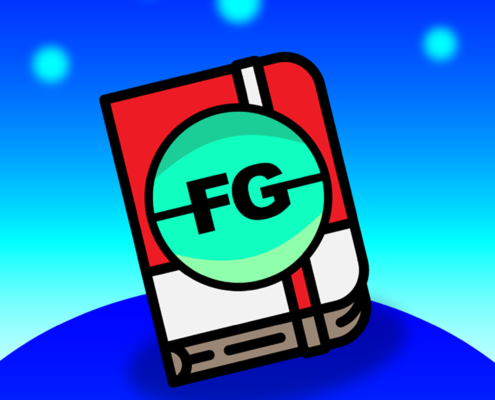 The evaluation also assesses the Pokémon in the MyPokédex section, returning the best Pokémon available in your collection. 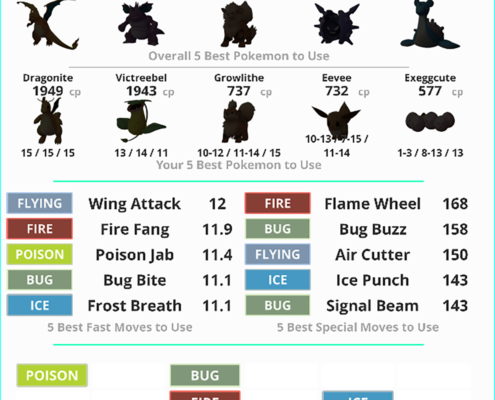 The evaluation also tells you what are the best moves along with a strength and weakness overview. 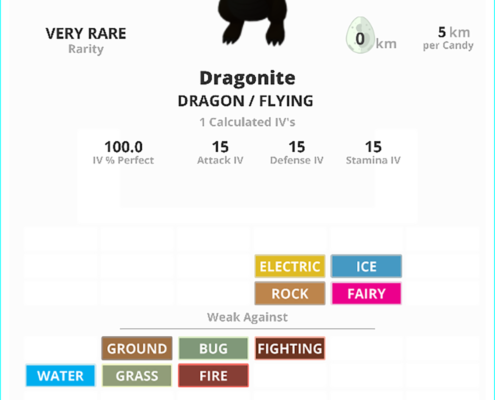 Track all of your Pokémon, everything in the full Pokédex and including IVs. 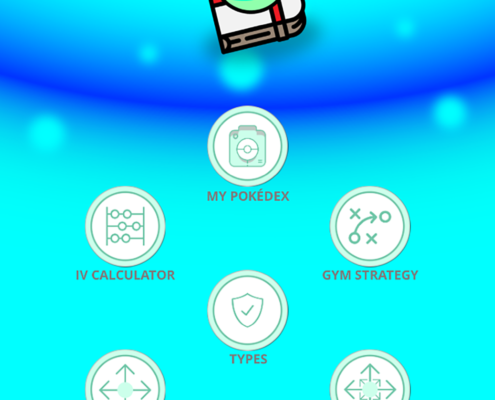 Sorting also includes all sorting in the full Pokédex, and also includes IV sorting. 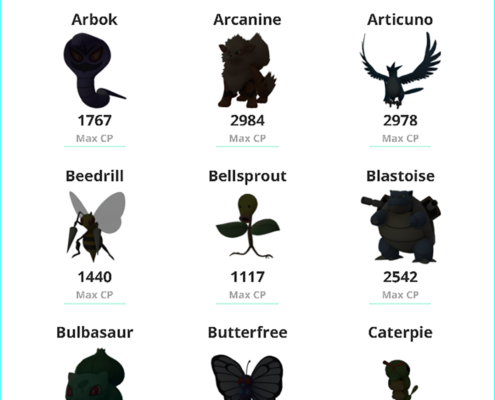 You can power up your Pokémon to keep them current and refine your IV ratings. Simple IV calculation! 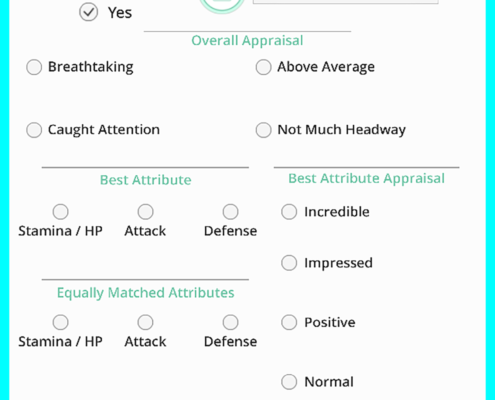 Just type in a few numbers and answer the appraisal questions. 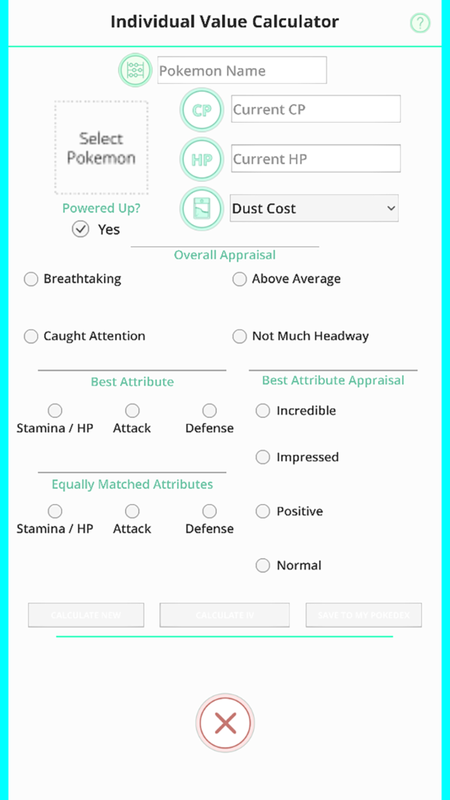 The IV appraisal questions change based on your team selection. 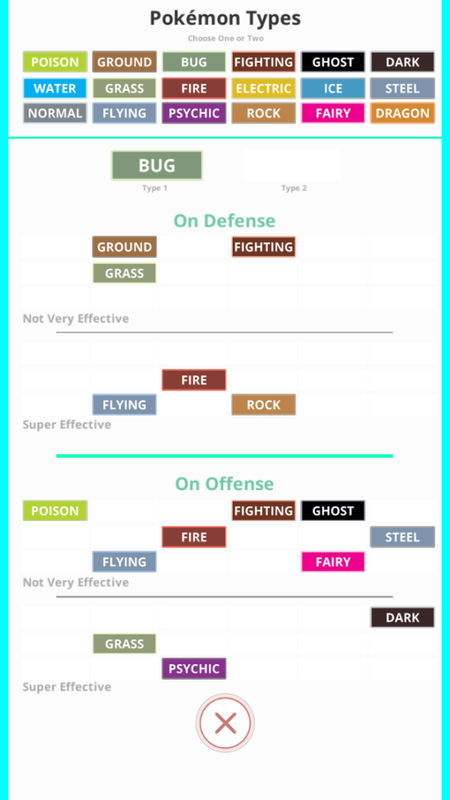 Keep your calculated Pokémon with the save feature. 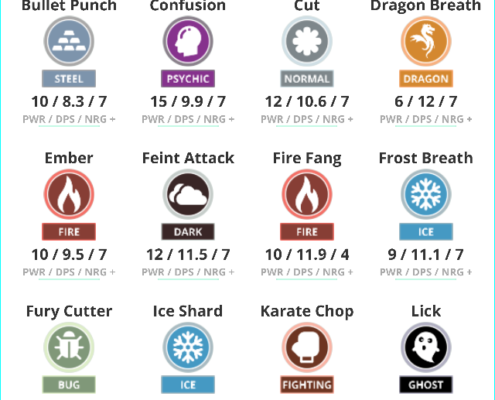 See what types are strong and weak with a simple tap. Also allows dual types of any combination. 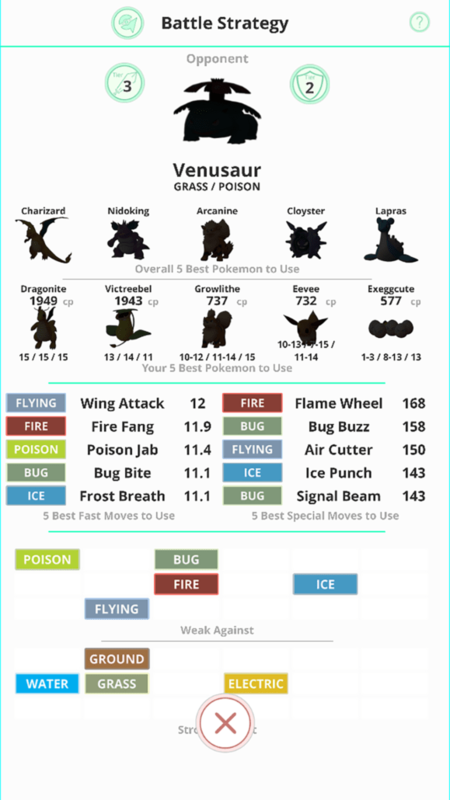 Detailed, sortable moves section. 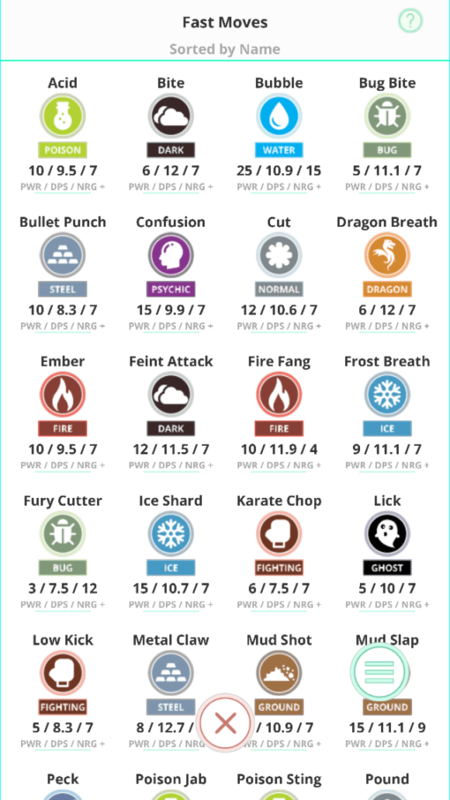 Let’s you quickly find the move and see which Pokémon can have that move.